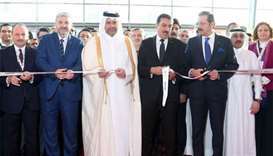 HE the Deputy Prime Minister and Foreign Minister Sheikh Mohamed bin Abdulrahman al-Thani attends the Kuwait International Conference for the Reconstruction of Iraq on Wednesday. 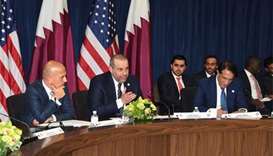 The Deputy Prime Minister and Foreign Minister HE Sheikh Mohamed bin Abdulrahman al-Thani announced that Qatar would provide a package of loans and investments in infrastructure and reconstruction projects to Iraq worth $1bn, based on its constant concern to help the fraternally Iraqi people. Addressing the participants of Kuwait International Conference for the Reconstruction of Iraq (KICRI), the foreign minister presented the greetings of His Highness the Emir Sheikh Tamim bin Hamad al-Thani to them, stressing the interest of the Emir in the proceedings of the conference and Qatar's support for Iraq in regaining its role and place in the regional and international environment. Sheikh Mohamed said the meeting was taking place under precise circumstances that call for concerted Arab, regional and international efforts to support efforts to stabilise Iraq and support the government's reconstruction programme as well as support national development plans 2018/2022 and 2023/2027. He expressed appreciation for the efforts exerted by the Iraqi government to restore stability, achieve reconciliation and establish civil peace. 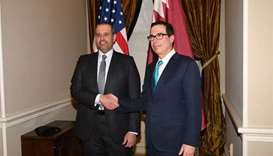 The foreign minister affirmed the keenness of Qatar to support Iraq and all efforts aimed at guaranteeing its unity and sovereignty, enhancing its security and stability, and building a democratic Iraq in cooperation with all political parties and all components of Iraqi society. He praised the sacrifices and courage of the Iraqi people and their armed forces in the great victory they have achieved in their war against ISIS, terrorism, and extremism. 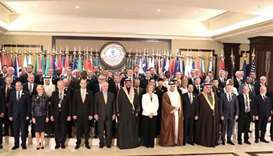 He pointed out that these sacrifices led to the liberation of all Iraqi cities and villages from terrorism, adding what has been achieved contributes to the enhancement of security of Iraq, the region and international stability. 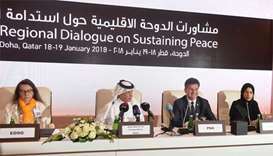 The deputy prime minister and foreign minister said reconstructing Iraq in light of the current challenges is a responsibility that all donor states and international organisations should effectively take part in. He highlighted that Qatar's participation in the conference came as part of its continuous support to Iraq and its people. 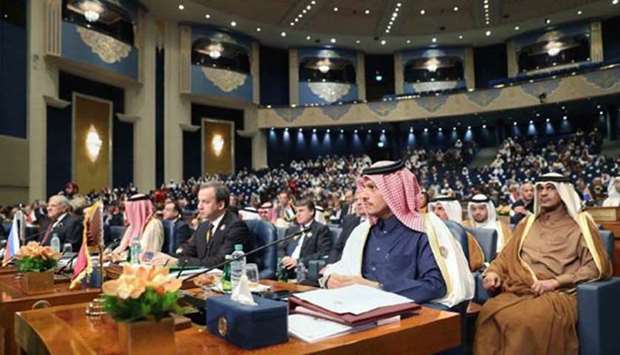 The minister confirmed Qatar's commitment to exert needed efforts and provide developmental aid for brotherly and affected countries, where Qatar plays its role as an effective participant in the global community. "This comes as part of its belief that peace, safety and development are interlinked and complementary to one another, and meeting humanitarian and developmental needs is the gate towards political, security, social and economic stability." The minister said that at a governmental and non-governmental level, Qatar has provided and continues to provide all forms of humanitarian support to Iraq through projects in education and health. "The Qatar Red Crescent Society established field hospitals, conducted hundreds of operations for civilians and helped victims of terrorist organisations during the liberation of Mosul, besides assisting hundreds of displaced families." Sheikh Mohamed said specialised Qatari institutions have announced plans to support Iraq in the humanitarian and educational fields. He expressed his gratitude to Kuwait for hosting the conference and their good organisation and hospitality. He also thanked the United Nations, European Union and World Bank for its efforts to make the conference a success.